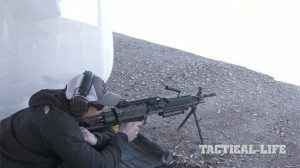 We check in with Gemtech at SHOT Show to discuss the Gemtech Integra integrally suppressed upper, and the Lunar-45 suppressor, brand new for 2017. 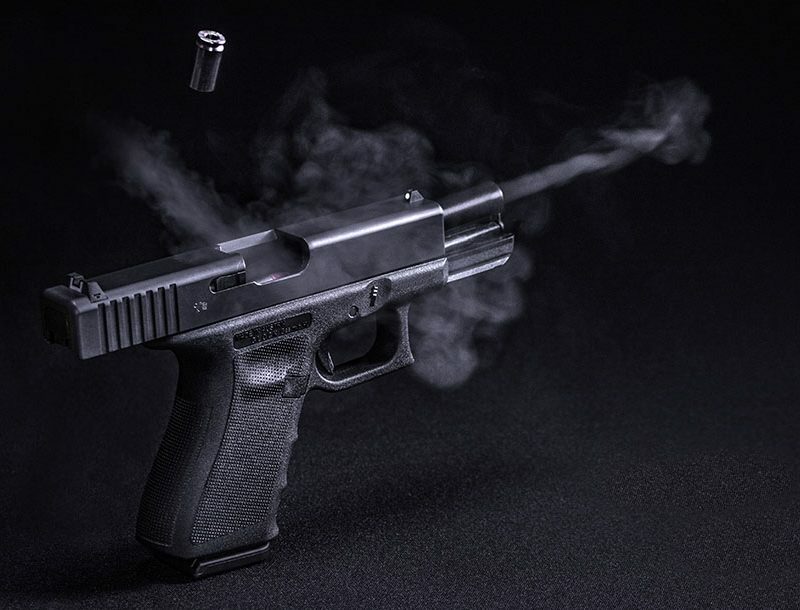 Gemtech is intent on making a statement in 2017, and judging by the very cool products they’ve displaying at SHOT Show in Las Vegas this year, it looks like they’ve succeeded. First up, the Idaho-based manufacturer is introducing the Integra, an integrally suppressed upper receiver for the AR platform. Coming in both .300 Blackout and 5.56, the Gemtech Integra boasts a 10.1-inch (.300 Blackout) or 10.5-inch (5.56) barrel with the tube pinned and welded to the gas block to make it 16.1 inches overall. Guess what? That means it’s not a SBR. It’s a one tax stamp product. The .300 Blackout variant is rated at 128 decibels, while the 5.56 comes out to around 131 decibels. 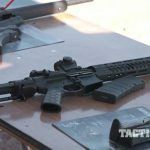 The Gemtech Integra has been in the works for years, and it looks like Gemtech is finally releasing it to the public in 2017. There’s been no official word yet on the MSRP, though we’ve seen $1,999 being bandied about. Stay tuned. 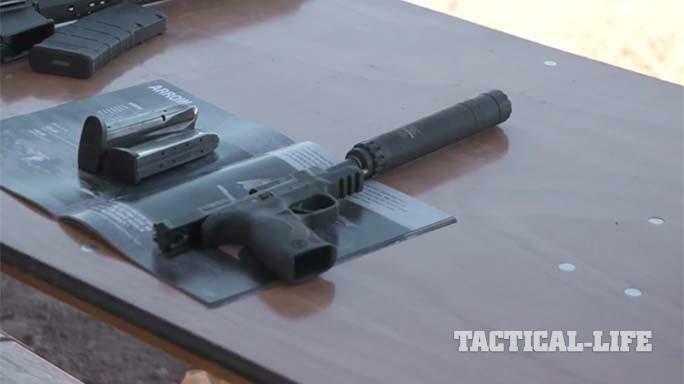 Also new for 2017 is a .45 ACP pistol suppressor for the civilian market: the Lunar-45. 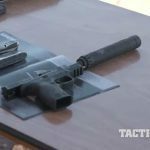 It’s a modular can touted as “the lightest and quietest modular 45 caliber silencer available that is able to be completely taken apart and cleaned,” according to Gemtech. Crafted from military grade aluminum and titanium, the Lunar-45 allows the user to choose between a long (8.5 inches) and short (6.9 inches) profile, and a number of different mounting options are available, allowing it to be used on a variety of platforms and calibers. 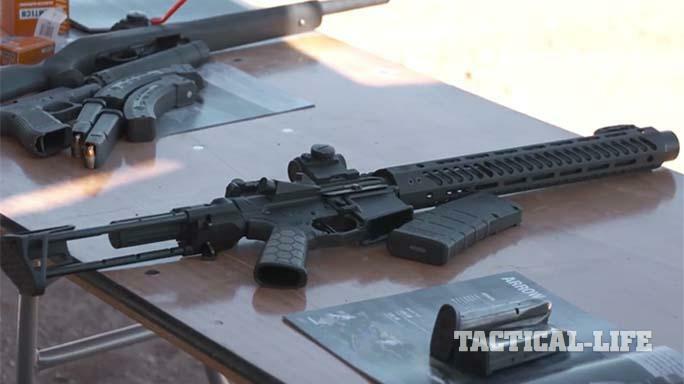 Check out the specs for it below, via the thefirearmblog.com. Check out the video below to see both of these products in action.